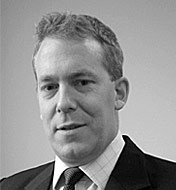 David Greenslade began his career at Macalister Mazengarb in 1990, as a law clerk and then a solicitor in the firm’s Commercial Department, where he practised until 1994. During that time he worked on a number of major transactions for commercial and government clients of the firm. He left to travel overseas and worked in firms in London (principally on a major rail privatisation and in M&A generally), in the Middle East (on commercial and government matters generally) and has worked on infrastructure projects in India, the UK and Holland. He has a particular interest in negotiating and drafting the documentation required for ongoing commercial and financing arrangements, and has experience in doing this in a range of industry sectors. Providing advice on raising capital (including advising on several institutions on compliance with the Financial Markets Conduct Act 2013). For more information about our Commercial, Corporate and Finance practice area generally, click here.